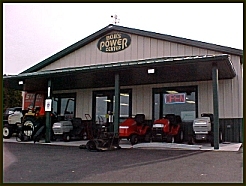 Welcome To Bob's Power Center - Your Complete Lawn And Garden Equipment Headquarters! Whatever your needs, Bob's Power Center offers some of the finest brands in the industry to handle all of your outdoor chores. Not only do we carry the brands that you know and trust - names like Troy-Bilt, Ariens, Stihl, Husqvarna, White Outdoor, Gravely, Cub Cadet, Troy, DR Power Equipment, Little Wonder, and Scag -we also offer complete service and maintenance to keep your equipment operating safely and reliably. 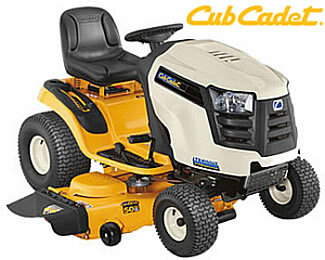 From lawnmowers to chainsaws and snow-throwers to garden tractors, we have everything you need to make your next gardening, lawn, or yard-maintenance project a breeze. We invite you to explore our site to learn more about the many products we carry that can make your outdoor workload lighter. You will find product descriptions, tips and tricks, services we offer, links to manufacturer's sites, and more! We also invite you to stop and visit our showroom in beautiful Rhinelander. No matter where you are in the Northwoods, there's only 1 name to remember for lawn, garden, and chainsaw epuipment sales and service - Bob's Power Center! Disclaimer: All information deemed reliable but not guaranteed and should be independently verified. All properties are subject to prior sale, change or withdrawal. Bob's Power Center or By Request Web Designs, shall not be responsible for any typographical errors, misinformation, misprints and shall be held totally harmless.